The Epiphone SST Studio is our iconic chambered acoustic/electric steel string guitar known world-wide for its unique no-feedback true acoustic sound that can carry its own on any rock stage. The SST Studio is backed by the Epiphone Lifetime Limited Warranty featuring Gibson 24/7/365 Customer Service that guarantees the instrument against defects in materials or workmanship. Check one out at your favorite Authorized Epiphone Dealer. The SST Studio is still the same original solidbody acoustic design that has been a favorite of Epi fans for a decade. It features a Select Spruce top with a traditional rosewood bridge and synthetic bone saddle set to a solid mahogany body. 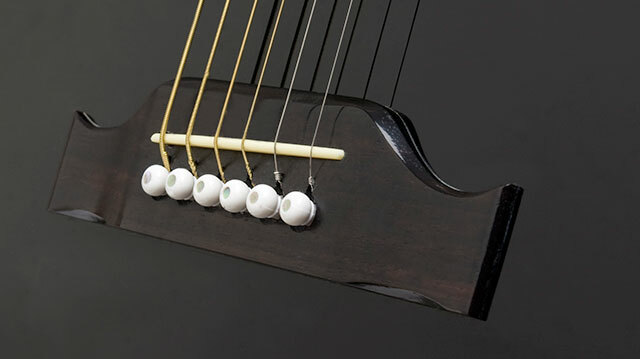 The body has been semi-hollowed out with unique computer-designed sound cavities that when amplified by the under-saddle pickup, produces great acoustic sound that's feedback free. The chambered mahogany body is set to a 25.5” scale SlimTaper™ “C” shape mahogany neck that’s hand-set and glued-in. The SST’s rosewood 12” radius fingerboard includes dot inlays and a 1.68” nut. The elegant cutaway allows for easy upper fret access and the headstock features Epipone’s classic Sloped Dovewing design. 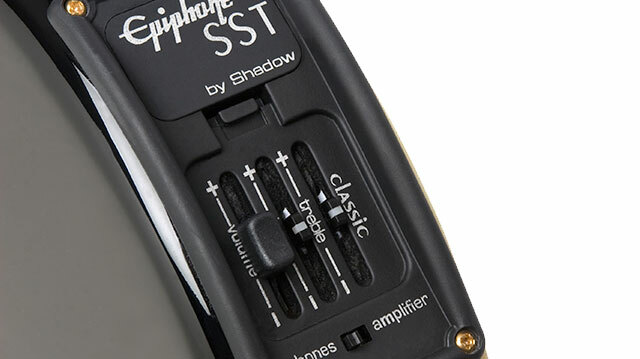 The Epiphone SST Studio get its fabulous stage sound from a specially designed preamp system from Shadow Electronics of Germany. The old-style piezo pickups, which often distorted, crackled and "broke-up" under heavy strumming, have now been replaced with the Shadow NanoFlex™ pickup which provides amazing acoustic fidelity and a far superior vibration transfer of acoustic wave-form amplification. Because of the NanoFlex’s ™ thin, flexible qualities, it fits unobtrusively in the saddle tray and ensures the best possible contact from the saddle and the bridge. The rim-mounted control panel features a Master Volume Fader, High EQ and Low EQ faders for greater tone control, and are flush-mounted and fit easily into a hard case to protect them from damage. Another great innovation for the SST system is an easy-access battery compartment for much simplified battery replacement, eliminating the old procedure of removing a back panel with a screwdriver. 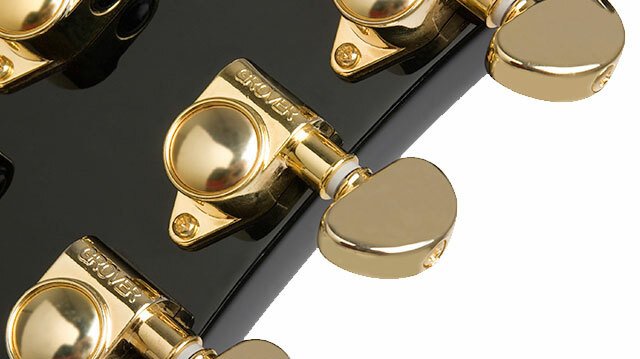 As always, the Epiphone SST includes our rock-steady hardware including gold Grover® machine heads. To go along with the SST Studio's new sound is one more little feature on the control panel: an Amp/Headphone switch. 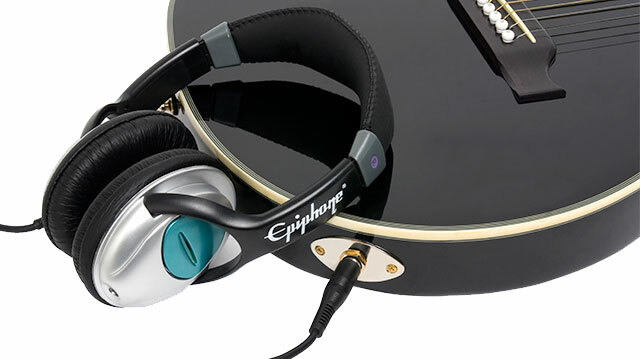 Flip the switch to "Headphones" and the preamp sound is sent to your headphones when plugged into the guitar's output jack. Perfect for practice and private playing!